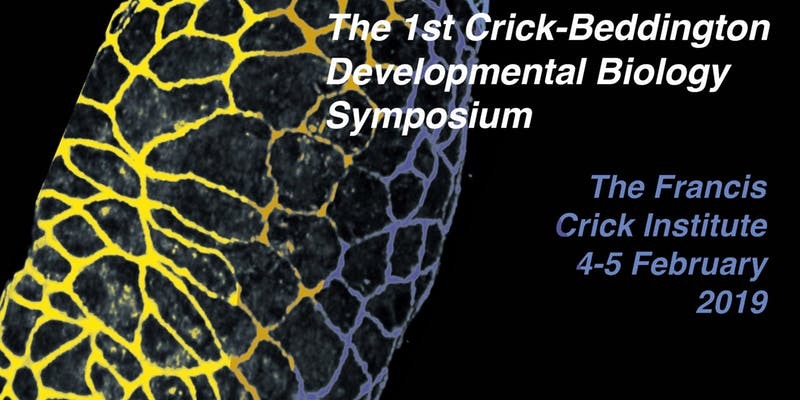 ​The 1st Crick-Beddington Developmental Biology Symposium will take place at the Francis Crick Institute in London on 4-5 February 2019. Congratulations to Clare Newell, a joint student with us at the Crick and the National Physical Laboratory, who won the UKSAF Young Surface Analyst Seah Prize for the best Oral and Poster presentation on “3D OrbiSIMS imaging of Drosophila cuticular lipids”. ​Early-life exposure to low-dose oxidants can increase longevity via microbiome remodelling in Drosophila. ​Congratulations to André Eid on his EMBO Long Term Fellowship for postdoctoral research in the lab. ​Discussion of developmental nutrition and lifespan with Alex, interviewed by Georgia Mills of “The Naked Scientists” for BBC Radio 5 Live on 26th November 2017. ​Low protein diet in early life increases lifespan in fruit flies. Congratulations to Irina on her new paper in Nature Communications. More Details on The Crick website. and for Biomedical Picture of the Day-BPoD. 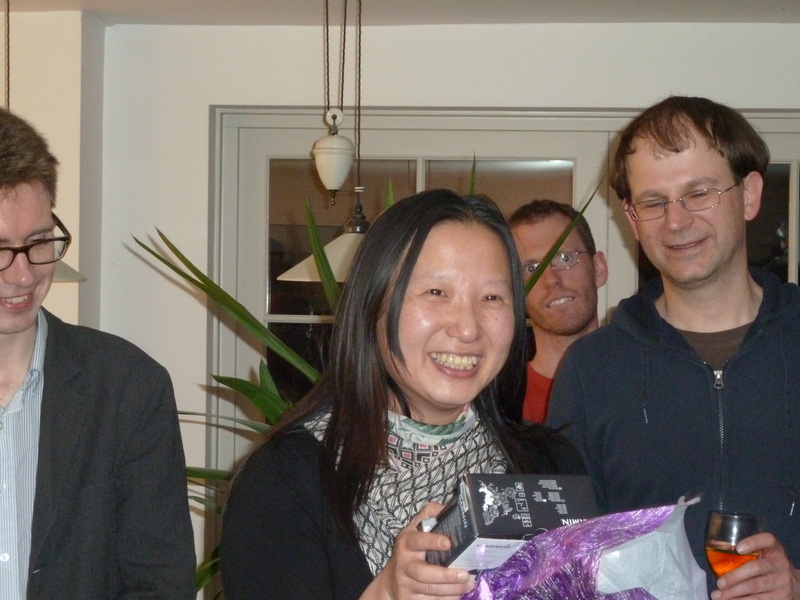 ​Congratulations to Fumiaki Obata, who leaves the lab with an AMED-PRIME grant and a new PI job in the Dept of Genetics, University of Tokyo. The European Drosophila Research Conference (EDRC2017) saw 800 delegates converging on London from all over the world. ​More than you needed to know about lipid droplets? 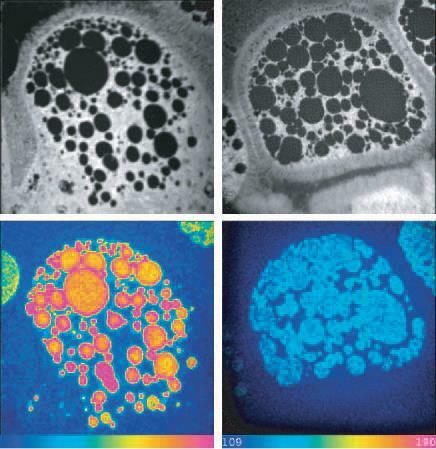 A new review by Michael Welte and Alex Gould: Lipid droplet functions beyond energy storage. Postle and Gould labs collaborate on new techniques for measuring the dynamics of lipid metabolism using electrospray ionisation mass spectrometry (ESI-MS). ​Irina Stefana and Alex share with their ISDB colleagues how to "cope with a stressful start in life". ​Alex gives the Plenary Lecture at the 2017 Swiss Drosophila meeting in Bern. 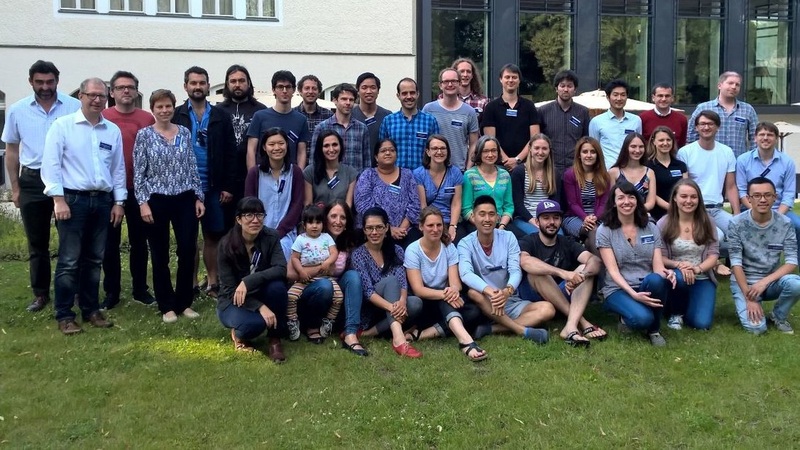 Ola, Fumiaki and Alex give presentations and posters at the EMBO | EMBL Symposia "Metabolism in Time and Space: Emerging Links to Cellular and Developmental Programs" in Heidelberg. The whole lab join forces to talk and present posters at the ​BSCB/BSDB/Gen Soc Spring meeting in Warwick. We have left our historic building of the former MRC National Institute for Medical Research in Mill Hill. Our new lab is now located in the brand new Francis Crick Institute building next to St Pancras station in central London. Einat, Rami and Annick's paper, Drosophila Spidey/Kar Regulates Oenocyte Growth via PI3-Kinase Signaling, is published in PLoS Genetics. 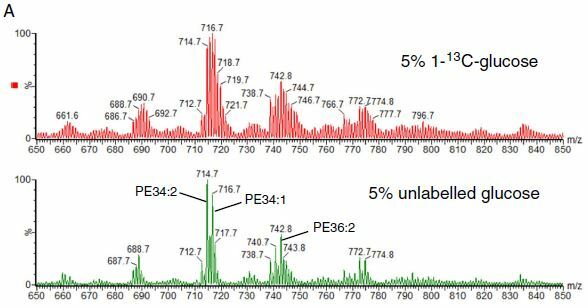 They identify a new regulator of the lipid-metabolising enzyme phosphoinositide 3-kinase. More Details on The Crick website. Oenocytes in the fruit fly larva© Credit: Annick Sawala and Alex Gould. 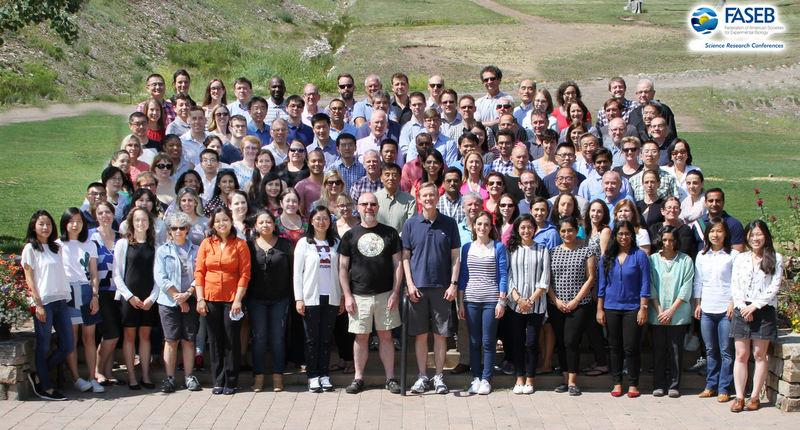 Lipid droplets cited over Snowmass, Colorado: "Lipid droplets: Dynamic organelles in metabolism and beyond". More details of Alex and the other speakers. 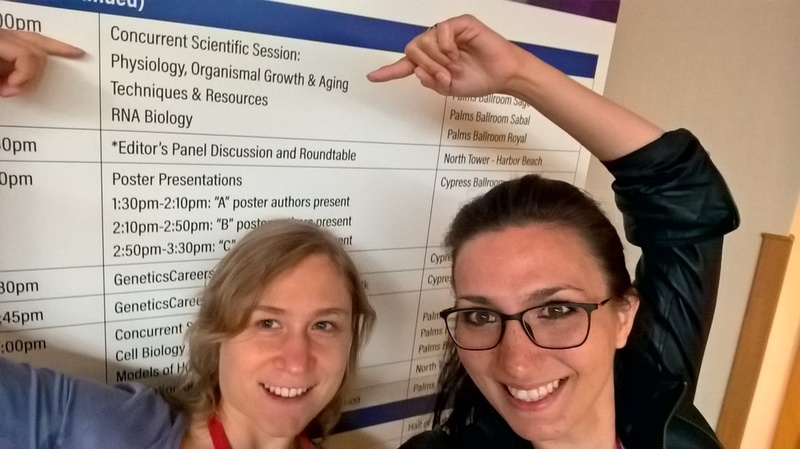 Annick and Irina present their latest findings at The Allied Genetics Conference (TAGC) in Orlando, Florida. Irina shares her findings on the "The power of food: nutritional programming of lifespan in Drosophila" in the 6th Annual MPI-CBG Postdoc Symposium organised in Harnack Haus, Berlin. 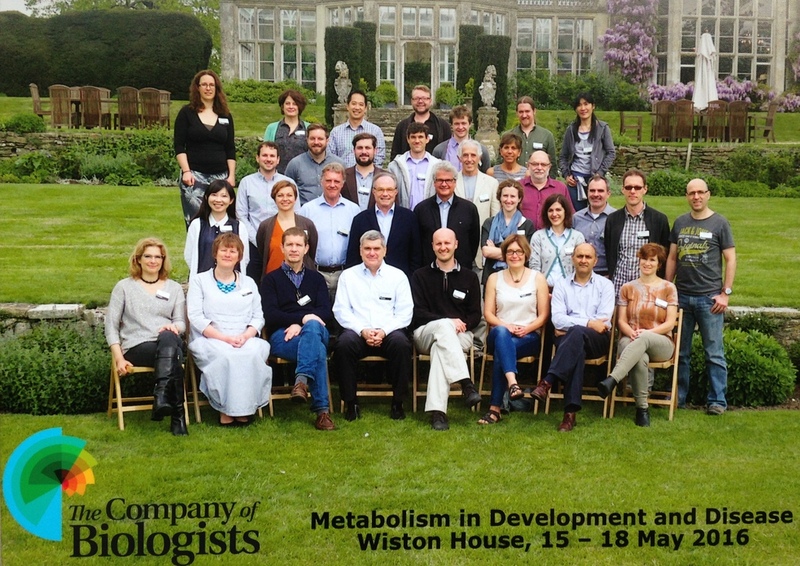 Developmental metabolism met cancer metabolism at an exciting workshop "Metabolism in Development and Disease” organised by the Company of Biologists. 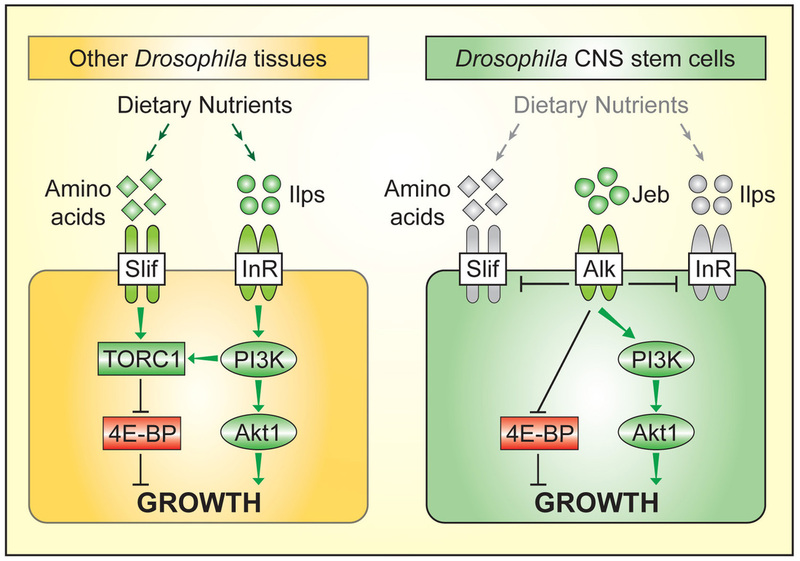 Andrew's paper, Antioxidant role for lipid droplets in a stem cell niche of Drosophila, is published in Cell. Andrew's paper has a Preview by Michael Welte in the same issue of Cell. ​Congratulations to Andrew for coordinating with Eva, in the same week, the birth of their first son Lucas and the publication of his lipid droplet paper in Cell. Well done Heidelberg for organizing a great European Drosophila Research Conference. Andrew, Clara, Fumiaki and Irina gave talks and Alex chaired a session. 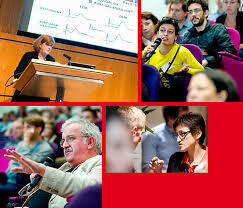 ​We are helping to organize the next EDRC in London in 2017! ​On 1 April 2015, the Medical Research Council's National Institute for Medical Research (NIMR) became part of the new Francis Crick Institute. A book chronicling the History of NIMR “A century of Science for Health” is available to download. This includes a chapter on metabolic research at NIMR, from Henry Dale’s Division of Biochemistry and Pharmacology in the 1920s through to our own Division of Physiology & Metabolism, which lasted from 2012 to the end of NIMR in 2015. 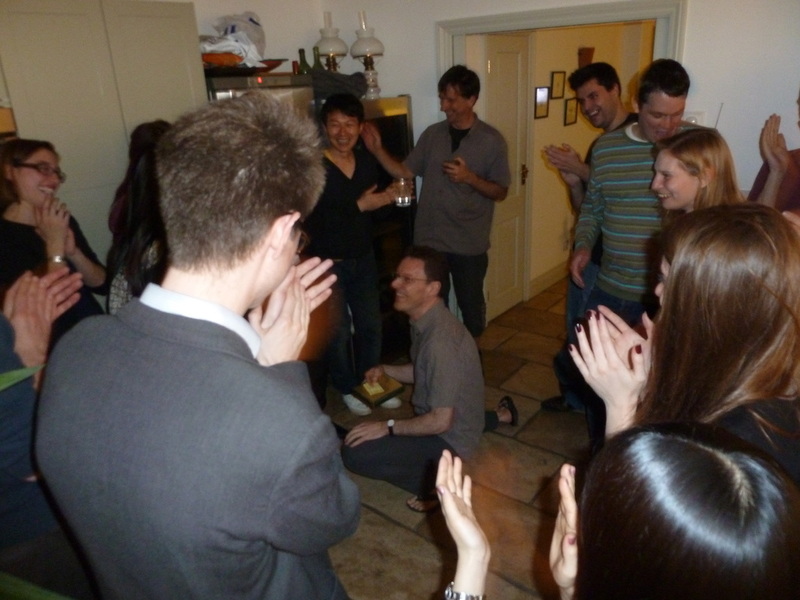 Congratulations to Andrew Bailey for winning a Postdoc poster prize at the ​2015 BSDB/BSCB Spring meeting in Warwick. Irina also gave a talk and Alex chaired a session. ​Funding to the lab from the Wellcome Trust has been finalized for a new six year programme of work, due to begin in the lab in 2016, on how nutrition during development has long-term effects upon adult metabolism and lifespan. 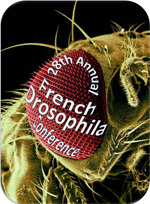 ​The Gould Lab joins their french fly colleagues at the 28th Annual French Drosophila Conference in Sète. Clara and Alex are giving a talk and Vanessa is presenting a poster. ​A new science and technology platform for metabolomics has recently been established in the Division of Physiology & Metabolism at the MRC National Institute for Medical Research. This will transfer to the Francis Crick Institute in 2015. 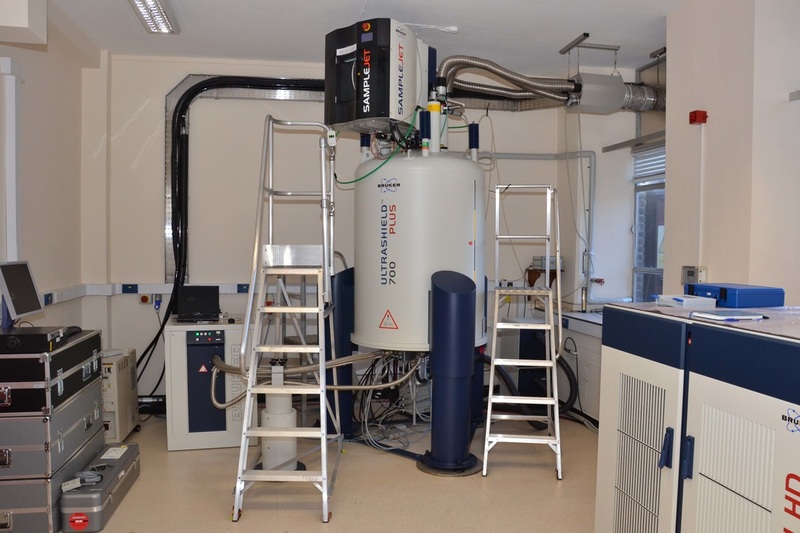 Dr James MacRae, Head of Metabolomics, oversees mass spectrometry metabolomics. Dr. Paul Driscoll oversees NMR metabolomics. ​Fabrice Prin and Patricia Serpente in the lab have shown that many Hox proteins share the ability to keep similar neural cells in the hindbrain close to each other and also away from dissimilar neighbours. The Division of Physiology & Metabolism at the MRC National Institute for Medical Research has now grown to four groups. All groups will transfer to the Francis Crick Institute when it opens in 2015. Research in the Division focuses on aspects of metabolism that are relevant to physiological health and diseases such as cancer. Dimitrios Anastasiou joined the Division in late 2012, Mariia Yuneva in early 2013, and Markus Ralser at the end of 2013. 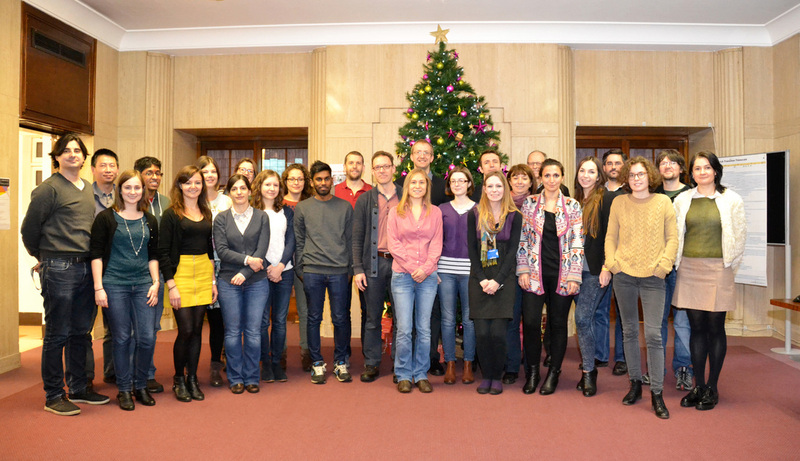 The Division of Physiology & Metabolism at NIMR was established in 2012, with Alex Gould as Head. Timothy Ragan and Andrew Bailey in the laboratories of Paul Driscoll and Alex Gould collaborated to develop a new method for accurately measuring the concentrations of metabolites in tiny biological samples of indeterminate volume. Left: A Drosophila larva on a one penny coin. Right: illustration of the improved clustering of replicate datasets obtained for fed and nutrient-restricted larvae using VDTS. ​​Alex Gould is elected to the Academy of Medical Sciences. 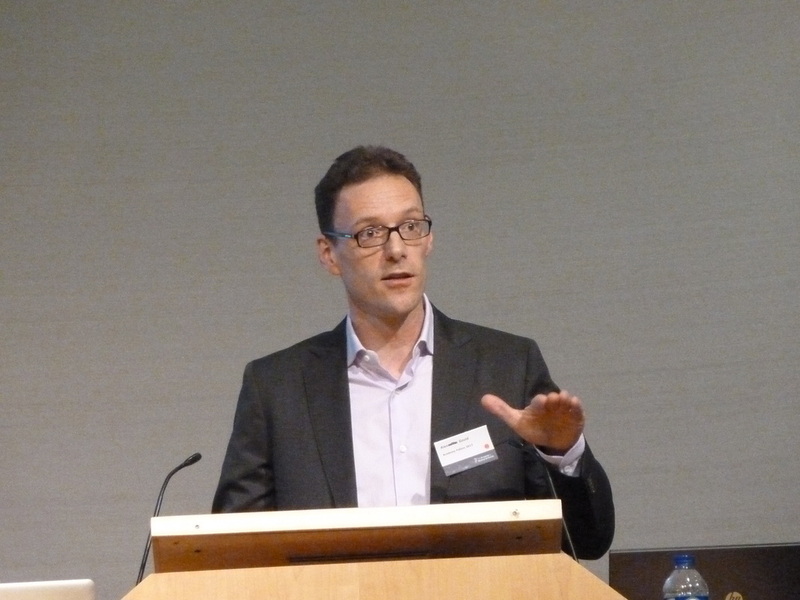 The first Francis Crick Institute symposium took place at the Wellcome Collection, London on 2nd July. The subject of this symposium was Metabolism in Health and Disease. The scientific organiser was Alex Gould. ​No need for tears as Rita is not moving too far. 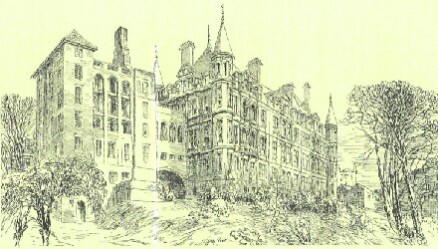 She starts her own lab at King’s College, London. We’ll miss you but huge congratulations on starting your own lab at the Peter Mac in Melbourne. Andrew Bailey in the lab collaborated with Claude Lechene at Harvard Medical School to develop imaging mass spectrometry methods for visualizing and quantitating lipid metabolism inside a single cell. They used Drosophila as a test case because it is emerging as a powerful model system for studying the genetics of lipid metabolism but, due to its small size, it can be difficult to purify sufficient amounts of any one cell type to do conventional mass spectrometry. UCL awards Neuroscience early career prize to Rita Sousa-Nunes in the lab. Rita Sousa-Nunes in the lab used an integrative physiology approach in fruit flies to identify a tissue-to-tissue relay mechanism controlling the growth and proliferation of neural progenitors. 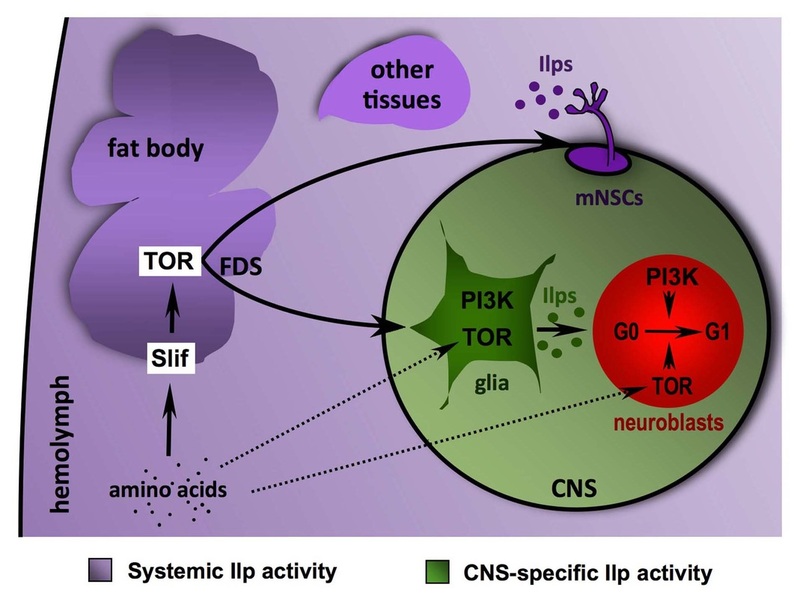 Amino acid sensing by adipose tissue is relayed to glial cells, which secrete Insulin-like peptides (Ilps) to stimulate quiescent neuroblasts to re-enter the cell cycle.